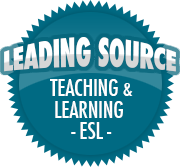 ESL CLASSROOM ISSUE 1: The non-serious partner | So, You Think You Can Teach ESL? One thing we forget when we embark on learning anything is that we have to apply it. What’s the point of learning something and not doing anything with what we learn. And what our teacher will expect from us is that we get a chance to practice it. Practicing is often done with a partner or in a group. This is never more true than when you are learning a language. It’s about communication. It’s about sharing something and responding to things, and one of the most frustrating things is if you have a partner to work with is isn’t serious about what they want from the course. In fact they see it as an opportunity to do other things rather than practice.